Three people died overnight in widespread flooding in Harris County after severe thunderstorms dropped nearly a foot of rain on the city Monday into early Tuesday morning. Houston Police Department spokesman Victor Senties confirmed two bodies were found in the city of Houston. Harris County Flood Control District spokeswoman Kim Jackson says a third body was found in a vehicle on Interstate 45. 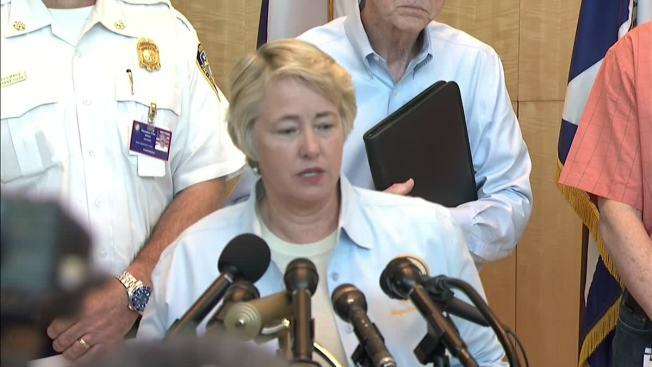 Houston Mayor Annise Parker said Tuesday morning EMS and police responded to 968 incidents overnight, 531 were water-related rescues, and that 50,000 homes remain without power Tuesday. Parker confirmed the two deaths in the city but said they have not yet released the identities of the victims. The total number of people killed in Houston in recent storms is now at 10, the mayor said. 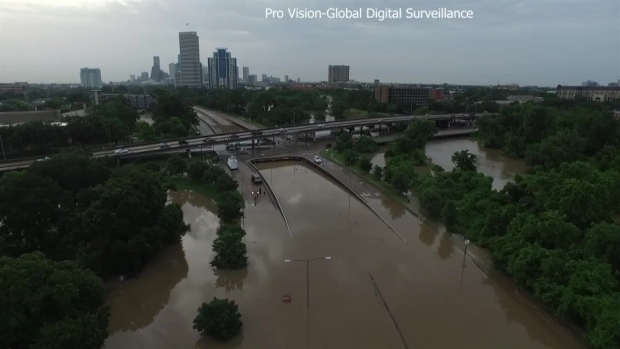 Pro Vision - Global Digital Surveillance sent a drone out to survey flooding along Memorial Drive in Houston. Jackson also said between 500 and 700 homes in Harris County have sustained some level of flood damage and dozens of vehicles are stranded in high water throughout the city. Parker added that she has talked with Gov. Greg Abbott about disaster relief and hopes to trigger federal dollars from FEMA. 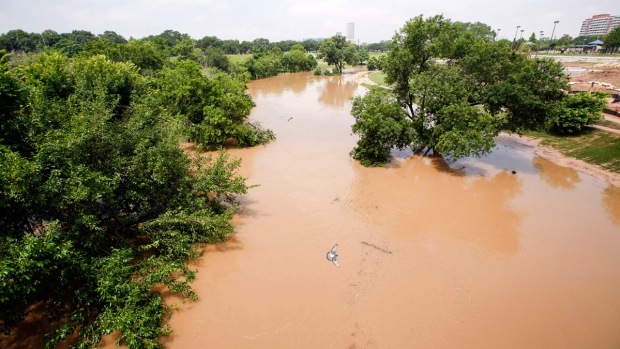 President Barack Obama said he has expressed his condolences over the Texas flooding situation to Abbott and that he can count on the federal government for help. Obama said he anticipates significant requests for federal assistance after the disasters in Houston, Wimberley and North Texas. National Weather Service meteorologist Dan Reilly said most of the 9 to 11 inches of rain came during a six-hour period, from 9 p.m. Monday to 3 a.m. Tuesday. Reilly said the Houston suburbs of Richmond and Sugar Land also received about 11 inches of rain. About 20 school districts in the area were either closed or had delayed opening Tuesday. Houston-area resident Jay Aiyer said it took him and his extended family about 8 hours overnight to go from downtown Houston to their home in suburban Bellaire. Aiyer said flash flood alerts popped up on cellphones during a graduation ceremony on Monday night. After leaving the ceremony at about 10 p.m., his family was unable to take any exits along U.S. Highway 59 because of flooding. The 46-year-old said there were no advisories to show which exits were closed, adding: "It happened so quickly, nobody really knew what to expect." Aiyer estimates hundreds of cars were trapped in traffic: "Everyone was in the same boat -- although we all wished we had a boat at that point." Drone video from Steve Dunk above the Blanco River show the destroyed Fischer Store Road Bridge near the Comal County and Hays County line between Fischer and Wimberley, Texas.